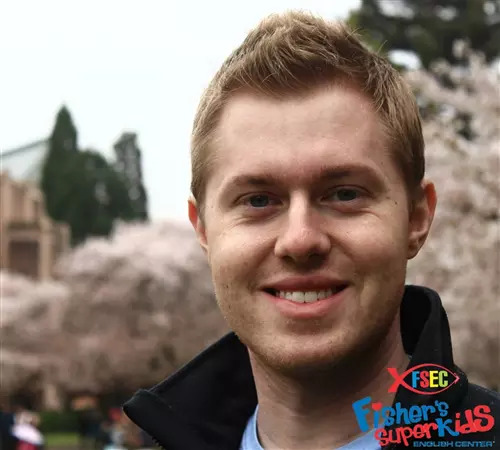 In my year at Fisher's SuperKids, I have had the opportunity to grow as a teacher through the center's care and the unforgettable relationships. SuperKids knows for many foreign teachers teaching is not merely a new job, but a new challenge fraught with culture shock in an unfamiliar place. With this knowledge, SuperKids goes beyond a teacher's expectations to show support and love and make this transition as smooth as possible. The dedicated representatives of Human Resources do everything they can to make complicated paperwork regarding visas and work permits as easy as possible as well as providing personal gifts serving as reminders of home. The Staff Care department always has an open door to listen to feedback and concerns and see to teachers' safety and well-being. Academic Management works tirelessly to make sure teachers have the professional support they need doing everything possible to help them succeed. These brief examples are a few of the many ways SuperKids and their staff seek excellence together. Unsurprisingly, the true joy of my job as a teacher comes from my students. SuperKids limits class sizes to no more than 18 students, making classrooms very manageable.They also provide an amazing amount of resources from computers and televisions in each classroom, to games, glue, printers, paper, pencils, markers, crayons, and everything imaginable needed for teaching. More importantly, each teacher is supported for at least half of each class by a Vietnamese Partner fluent in English and Vietnamese. But these partners do much more than translate. They help manage parent relationships, foster student growth, and handle hours of paperwork that would otherwise be left to the teacher. This level of support is critical to success in the classroom and has not been overlooked in my experience. Because of these reasons, I can focus on being a teacher. My time is productively spent planning quality lessons and building relationships with students. I know each and every student personally - from what motivates and frustrates him, to what makes her laugh and love English. These memories are my real reward as a teacher, made possible by SuperKids' commitment to their students' education. There are many reasons I love SuperKids; fresh juice and fruit on Fridays, coffee with management, the suggestion board at each center listing employees' favorite things in Da Nang, but most significantly, I have yet to meet a negative person at SuperKids; a testament to their hiring practices and dedication to creating a quality work environment. Everyone from busy operations directors, diligent schedulers, untiring cleaning and security staff, and selfless Vietnamese Partners always have time to say hello and lend a helping hand. For these reasons, SuperKids is not merely a place to work, but a family, providing great personal and professional benefits. It is a place I enjoy walking into each day and this is without a doubt a direct result of Mr. Hai and Teresa Fisher's vision for building an outstanding organization.